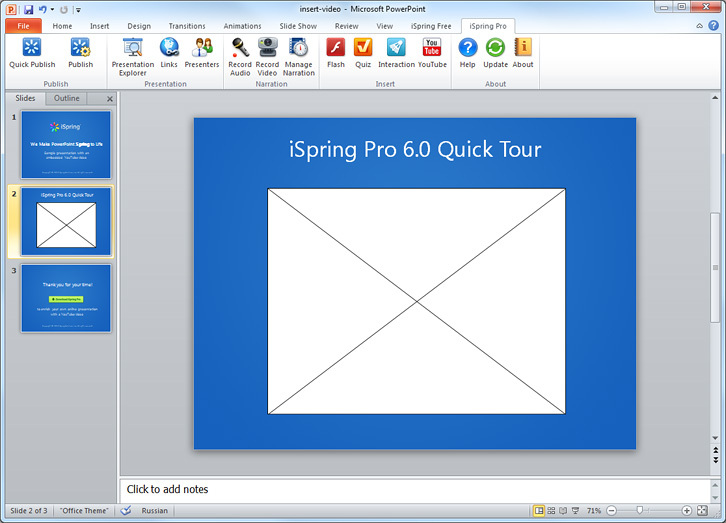 In PowerPoint, click Video > Online Video. Right-click the From a Video Embed Code box, click Paste to paste the embed code, and click the arrow. On the Slide Show tab, click From Current Slide to view and play the embedded video.